Razorback Financial is a longstanding Fort Smith Income Tax and bookkeeping service firm dedicated to providing our clients with simple solutions to their business and personal financial needs. We offer over 30 years of tax and accounting experience to clients nationwide. Our services include bookkeeping, business management, retirement planning, payroll advantage and the use of accounting software such as Peachtree and Quickbooks. 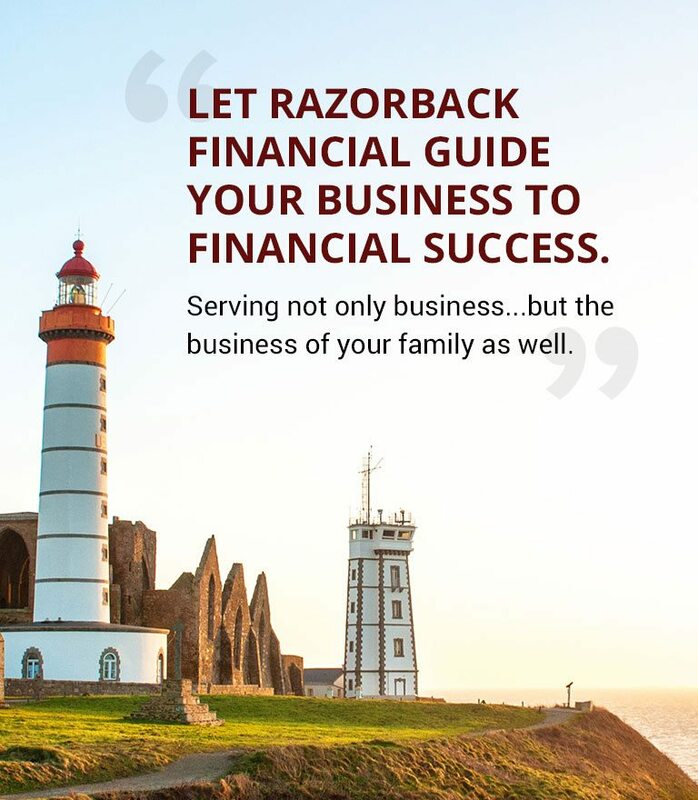 Contact Razorback Financial today to find out how we can serve you!